You will Watch One Piece Episode 475 English Dubbed online for free episodes with HQ / high quality. Stream anime One Piece Season 14 Episode 17 Moving Into the Final Phase! Whitebeard’s Trump Card for Recovery! 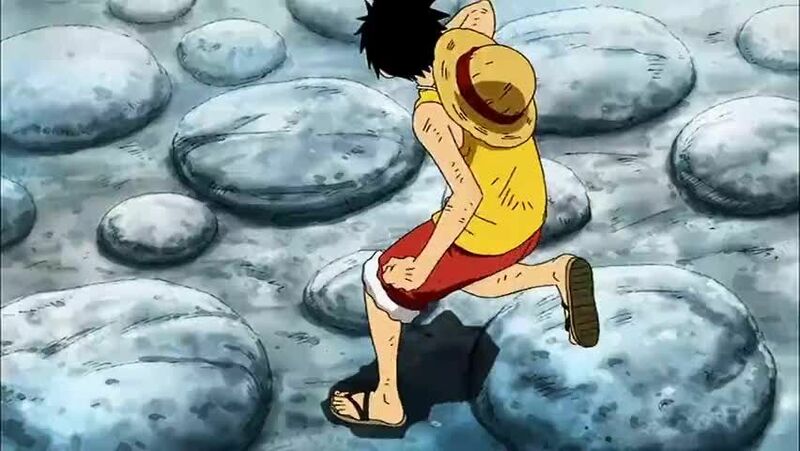 Luffy attempts to slip past the admirals, but Kizaru easily catches up to him and knock him to the ground. The executioners prepare to execute Ace, but Crocodile intervenes, saying he can kill Whitebeard later and he does not want the Marines to win. Aokiji attacks Luffy, but Marco knocks him away before he can finish him off. Mr. 3 hides in the passageways below Marineford, having managed to escape Aokiji’s freezing. The Whitebeard pirates rush toward the opening in the wall, prompting the Marine forces to fire their cannons at them, but Whitebeard commands a submerged paddle ship to surface, and Oars propels it into the plaza with the pirates on board. As Whitebeard’s forces reach the plaza, Sengoku and Garp prepare to fight them.